https://www.kalkifashion.com/black-georgette-cut-dana-silk-saree-only-on-kalki.html 16653 Black georgette cut dana silk saree only on kalki https://d8evit4zy2nlo.cloudfront.net/media/catalog/product/b/l/black-georgette-cut-dana-silk-saree-only-on-kalki-433905_1_.jpg 79 79.0000 USD OutOfStock /Sarees /Sarees/See All... /Sarees/Ready To Ship /Sarees/Designer Sarees /Sarees/Sarees Under USD 200 (Rs12000) /Sarees/Plain Saree /Sarees/Georgette Sarees Black colour featuring in georgette silk saree. Emblished with cut danna on golden foil border.Radiant Moti shimirring all over the saree . Black colour featuring in georgette silk saree. Emblished with cut danna on golden foil border. Radiant Moti shimirring all over the saree. 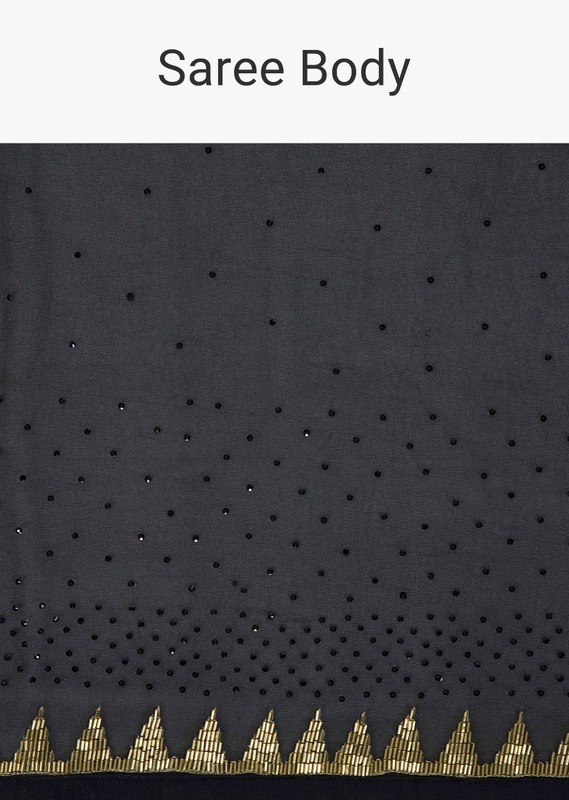 This Black georgette cut dana silk saree looks like a replica of the dark night and the shimmering stars. 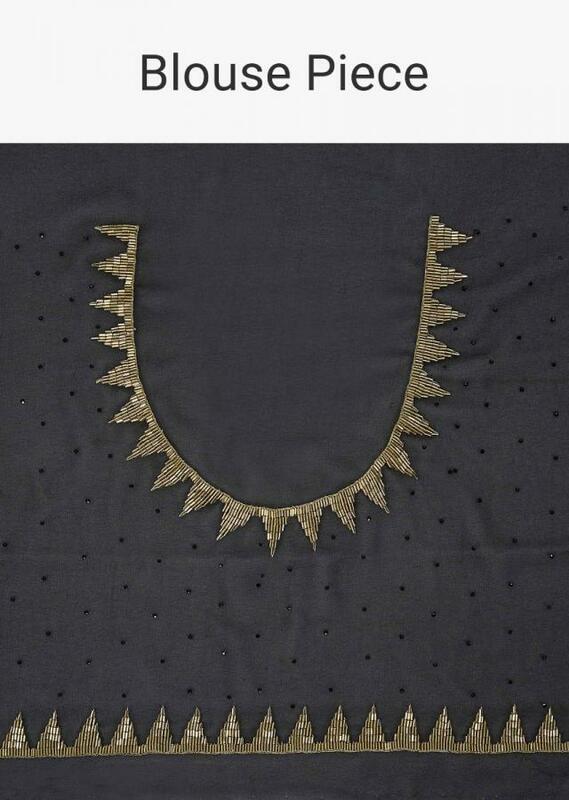 Matched with an unstitched black georgette blouse in moti and cut dana embroidery.